According to biznesalert.pl, Russian Gazprom and Dutch Gasunie have announced that they are considering joint shale gas extraction operations in Europe. NV Nederlandse Gasunie owns and operates gas transmission grids in the Netherlands and Germany, in total over 43,000 km long. It is also the largest gas transmission pipeline management company in Europe and holds shares in Russian projects and the Nord Stream pipeline. Mr. Han Fennema, Gasunie Director, visited Gazprom headquarters yesterday to discuss with Gazprom Director Alexey Miller the prospects for mutual cooperation in shale gas extraction projects. The issues of Nord Stream, LNG supply and of liquefied gas as an alternative to maritime and onshore transport were also on the agenda of the meeting. The parties have emphasized the importance of Nord Stream for uninterrupted gas supply to Europe. Moreover, they see “clearly the need” to build new alternative gas connections so as to ensure gas supply to European countries – biznesalert.pl reported. Nord Stream is a 1222 km long offshore pipeline transporting Siberian gas to Europe along the bottom of the Baltic Sea, bypassing the transit East European countries (including Poland). It is the longest offshore gas transmission pipeline worldwide. 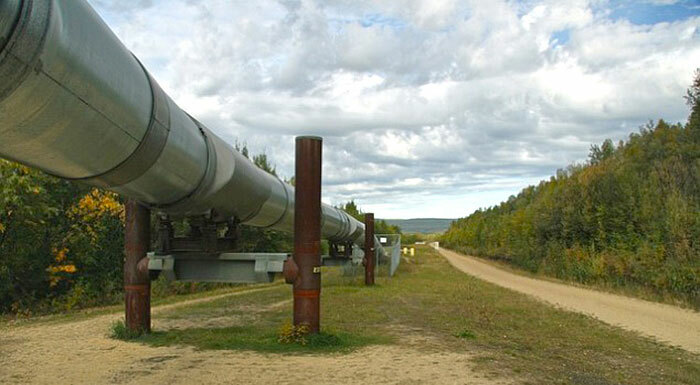 The pipeline is composed of two parallel lines entering the sea at the city of Vyborg in Russia (near the border with Finland) and landing on the German coast (at Greifswald). The first line was commissioned in November 2011 and the second one a year later, in October 2012. The talks on signing a bilateral Memorandum of Understanding between PGI-NRI and U.S. Geological Survey (USGS) have been finalized. Polish-Chinese geological cooperation is likely to materialize. PGI-NRI's Brochure "Oil&Gas in Poland. New Opportunities"
Read more about PGI-NRI's Brochure "Oil&Gas in Poland. New Opportunities"